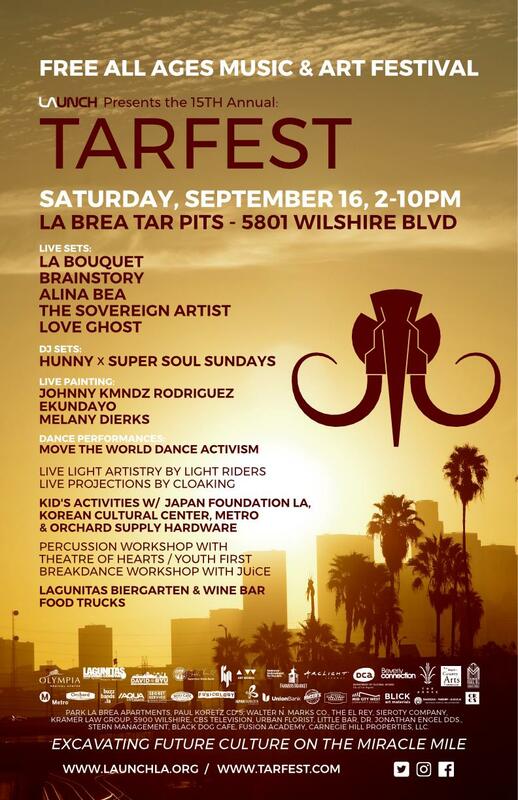 Please join us for TARFEST – the free, all ages Music and Arts Festival! Saturday, Sept. 16, 2 – 10pm at the La Brea Tar Pits. Live Music, DJs, Beirgarten, Food Trucks, Activities for Kids, Dance by Move the World Dance Activism and Juice, Light Shows, Percussion Workshop and Drum Circle, Live Painting on giant canvases and more.